Do not post support requests, bug reports or feature requests. Discuss phpBB here. Non-phpBB related discussion goes in General Discussion! Please use this topic to discuss the blog post and vote on the codename for phpBB's next version as mentioned in Vote For phpBB's Next Codename. The vote will run for 14 days until October 30th 2016. I voted for Proteus (one choice). - Arsia would be a good alternative, but I wanted to give a stronger preference to Proteus. - Atlas reminds me of Atlassian, the bug tracker software company. - Titan: I think the name is too common, there is nothing to attract your attention. I voted both for Atlas and Titan. Both of them are quite good codenames in my opinion. EN: Do to others what you would want them to do to you. ES: Haz a los demás todo lo que quieras que te hagan a ti. PT: Faça aos outros o que você gostaria que fizessem a você. It would be nice to know the reasons for these names, their origin, with reference links. We know (at least, most of us) the reasons why of Olympus, Ascraeus and Rhea. Basically big mountains in the deep space. I guess all of this names belong to a sort of "to be continued" thing. In this case.. well, let me ask you all to be more creatives. Arsia is a mountain on Mars (Arsia Mons) nearby the previously used Olympus Mons and Ascraeus Mons. Atlas is a one of Saturn's moons (Atlas (moon)) as is Rhea which we're using for 3.2. Proteus is one of Neptun's moons (Proteus (moon)). Titan is also one of Saturn's moons (Titan (moon)). Of course some of these names also have a meaning in Greek mythology. I voted Arsia because I have no idea what it means. Last edited by MohamedAG on Thu Oct 20, 2016 3:35 pm, edited 1 time in total. I don't know why, but I vote it Proteos. I agree that Titan is too common. 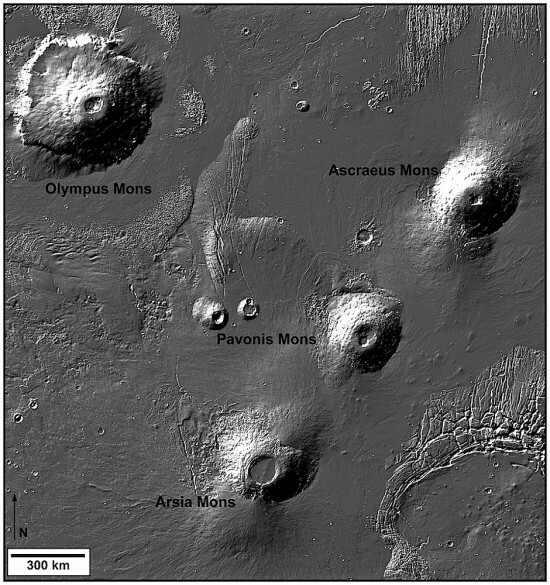 well i voted for Arsia (Mons) because it's another mountain on Mars, and it's right next to Ascraeus, the previous phpBB release codename. 3Di wrote: It would be nice to know the reasons for these names, their origin, with reference links. My +1 for you. I would like to know this. Marc posted the origins of the names and the links a few posts under 3Di's. Is there anything else about them that you'd like to know? If you're having any questions about the rules/customs of this website, feel free to drop me a PM.